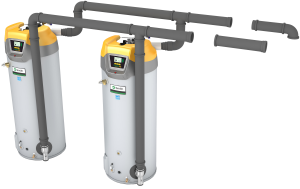 Leading water heater manufacturer A. O. Smith is breaking ground in the commercial water heater marketplace with an offering that’s not a water heater. A. O. Smith’s new Cyclone® Mxi Common Venting Kit—an industry exclusive–allows contractors to easily connect two commercial gas Cyclone Mxi water heaters with shared external venting, which reduces — by half — the number of wall penetrations needed for an installation. Kits are available for use with both PVC and Polypropylene venting systems. Popular for commercial installations such as restaurants and hotels, the modulating Cyclone Mxi is often paired with a second unit in high-demand applications to increase capacity, according toDavid Chisolm, vice president of marketing for A. O. Smith. The vent kits are certified for use with all Cyclone Mxi tank sizes and require no power source. According to A. O. Smith, Cyclone Mxi users should see no difference in their unit’s performance. For more information about A. O. Smith and the commercial Cyclone Mxi, visit www.hotwater.com. A. O. Smith Corporation is a leading global manufacturer and marketer of residential and commercial water heaters. 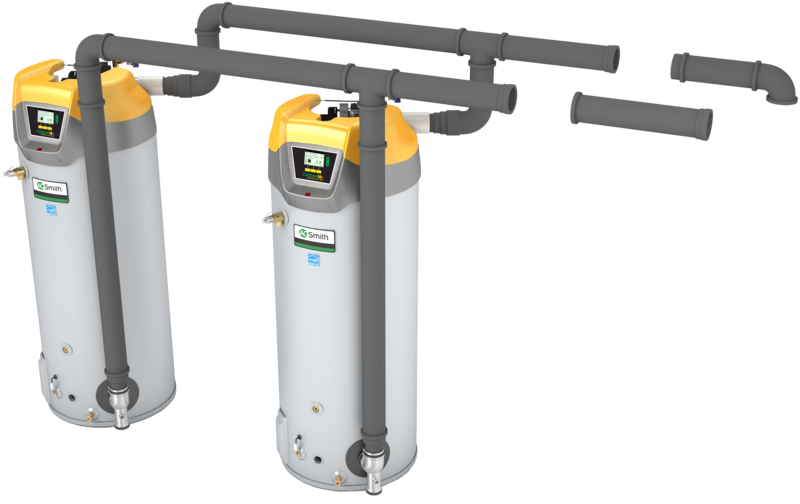 A. O. Smith offers its customers an additional competitive advantage in that the company designs, builds, distributes and supports the world’s broadest and deepest line of residential and commercial water heaters, as well as commercial boilers. This single source concept simplifies ordering, installation and service and is backed by nearly 80 years of research and innovation. For more information, visit www.hotwater.com. For the most up-to-date industry news, like us on Facebook and follow us on Twitter.